Embezzlement can include misappopriation of assets or funds, theft or falsification of documents. Individuals accused of theft may be facing charges from state or federal authorities, and the offense can involve as little as $100 up to many millions of dollars. Embezzlement occurs in both the private and the government sector. Crimes regularly associated with embezzlement include falsifying financial documents, misappropriation of funds or assets, and theft from an employer. Theft offenses/embezzlement can seriously affect a persons residency status and be the cause for deportation. 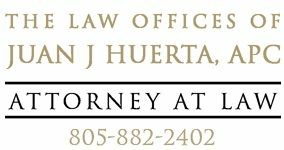 Juan Huerta Law is knowledgeable with how criminal cases affect an accused legal residency. Misinterpretation of financial records and other circumstances may lead authorities to believe that embezzlement has occured, and charges of embezzlement may be mistakenly brought against individuals who did not knowingly commit a crime. Juan Huerta Law will assist you or your loved one to avoid criminal charges by working out civil compromises with your employer, avoiding penalties and potential jail time. If you have been charged with embezzlement or theft related offense, don’t wait. Contact our Santa Barbara law firm and begin building your defense today.